The, Col John Bond Sr, Family and History begins at Erth Barton. The Ancient Ancestral Bond Estate is located close to Saltash in Cornwall. The Erth House is a Norman Manor House, and the Barton or Farm was once Goffery Manor in the 9th Century AD. The Manor House at, Erth Barton, is very old. William the Counqeror visited Erth Barton around 1080. King James Commissioned Mr. Carew (in 1610) to study the Manor House at Erth to see if it was the oldest Building in Cornwall. Mr. Carew reported that indeed it was the oldest Building in Cornwall. John Bond born about 1690 to 1695 married Sarah Prichett. They built a large Manor House in North Carolina. One of the sons, John Bond born in 1722 married Lydia Wallis. John Bond 1722 was the Father of, Col John Bond Sr,. MAP LOCATION for, Erth Barton. All Rights Reserved. The purpose of these Web Pages is a Non Commercial Photo Album that also includes Information for other members of the Bond Family and Visitors to veiw. Some of the Pictures and some Information Included on the Web Pages is already Copyrighted in Books. A Reference for some of the Pictures and Information included on these Web Pages is Unknown. No Permission is granted to use the Pictures, Information, and Family Research included on these Web Pages in Books that are sold . Any one that wishes to include these Pictures, and the Family Research and Information in books is hereby instructed to contact the Owners of the Pictures, Information, and Family Research for Their Permission to use the Pictures and Information for Commercial Use. Any use of any of these Web Pages is at your own Risk and Liabily. ACKNOWLEGEMENTS: for Pictures, Information, or Both Pictures and Information, EARL K BOND, COLUMBUS BOND, RYAN LOTT, DOWIE ECROYD, LINDA BOND, Mrs. HARDEE BOND, HOPE BATTILANA, LARRY SMITH, Dr.LOU ANDERSON, KENNY HATTEN, RUTH ANN BOND, JUDY MILES, THANA BOND WALKER, LARRY ONEAL, HANK BOND, NETTIE HERRINGTON LEDWITH, CLAUDIA KERR, PETER BOND, JOE and SHIRLEY WHEAT, ODEL BOND LOTT, GAYE McGEE, VIVIAN DAVIS BORNEMANN, STEVE JOHNSON, ALONZO BOND, FRANCIS PHILIPS, SHIRLEY LEBLANC, Mrs CHARLES PATRICK, PATRICK CURTIN, BEA CROUCH, ROBERT HARPER, BONNIE BOND, HERMON BOND, JUDY BETHEA, ERETTA CLARK, and to Any, PERSON, PUBLISHER, WEB SITE, or, REFERENCE, we may have missed or be unaware of in our Acknowledgements. I am gratefull for all of the, John Bond, family researchers from the past, present, and the many current, John Bond, family members that have sent me pictures and information for these Web Pages. 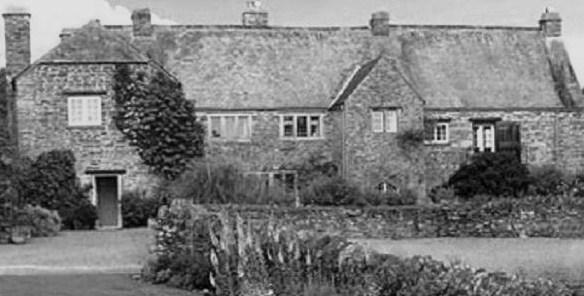 Robert Bond married Elizabeth DeErth and became the first, Bond, owner of Erth Barton in the 1300's AD. They had 3 sons. 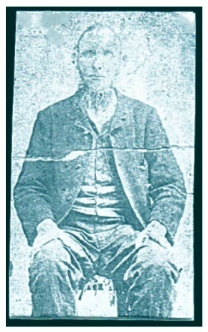 Richard Bond who was the Ancestor of the Bonds of Erth and Holwood. Thomas Bond, who is the Ancestor of the Bonds of Fulham and Somerset. He was buried at Fulham Church. And, Robert Bond of Lutton in Dorset. Robert Bond married Mary Hody who was a daughter of Sir John Hody. His wife Mary Hody was the only Heiress of an Estate in Dorset. They had 2 sons, John and William Bond. 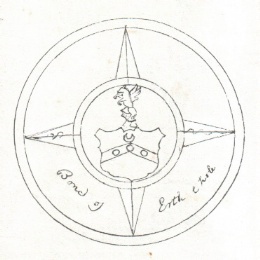 Lt Col John Bond Jr. had a Copy of the Bond of Erth e hole Captians Orbis. He often said that it was his most prized Property. Acknowledgements: Steve Johnson, Peter Bond, Dr. Lou Anderson, Vivian Davis Bornemann.